As a professional photographer in Dubuque, Iowa for over 25 years, we've experienced it all! When we first opened our photography studio doors, it was the age of film. But as the photography world evolved from analog to digital, so did we! Digital photography has totally revamped the photography industry, but one thing has stayed consistent throughout the years... we pride ourselves on providing portraits that people fall absolutely in love with! And one way that we do this is by creating professional quality photographic products. We admit... we totally have a soft spot for physical prints. There's something timeless and ethereal about being able to hold on to and pass down your portraits. But as the world becomes more and more online, people are requesting digital files more and more as well. So we're going to take a look at the pros and cons of each to finally settle the great print vs. digital debate once and for all! It might seem obvious, but the purpose of photography is to be seen! Portraits are meant to be looked at! So the first aspect we are going to discuss is the viewability of images. Print has the advantage of being easily displayed and viewed everyday. A small print on your office desk, a large wall portrait over the living room sofa, a few framed photos on the mantle... when your images are printed and on display you're guaranteed to see your beautiful images everyday! Although our lives are becoming more and more online, we still exist in a tangible world and most of our important and immediate experiences happen in physical space. This gives printed photographs a more "real" nature. They exist in our physical world and can be viewed and experienced directly and tangibly. When you decorate your home with printed portraits, you fill your physical living space with memories. The downside is that physical prints are restricted to space. You can't view your images everywhere you go, but you will experience them everyday in the places you most frequent--your home, office, etc. Digital images are in the opposite situation. Thanks to smartphones, digital images can also be taken with you wherever you go. Digital files let you access all of your images anywhere at any time. Something your just can't do in print--unless you want to have a pocket stuffed with dozens of wallet-size prints. However, the downside is you're much less likely to view your images on a daily basis as you would with printed media. Compared to having your photos exist in physical space, you're unlikely to regularly scroll through all of your images on screen. If you have the copyright release to print your digital images from anywhere you'd like and have the best of both worlds! You just have to make sure you go to a quality lab so your images turn out as beautiful as intended. Many drugstore printers are not color accurate, you we recommend going with a professional lab for printing, even if it means spending a little bit more. You also want to make sure that your images are cropped and sized correctly as well as keeping the resolution high. Images that look great on screen don't always look great printed--hello blurry, pixely prints. It does take some extra work on your part, and the photographers written permission, but printing from your digital images and having the best of both is a possibility. The next category to dive into is how lasting your images are. You want the images you love to last for as long as possible! Especially with images such as Family Portraits, you want to be able to hang on to the special memories for decades--even pass them down to your children! Portraits help preserve your legacy, so it's important for your images to last through the years. With care, professionally printed photographs can last for generations! When avoiding things like water damage or sun fading, physical prints will last throughout the years. Granted, not all prints are created equal. The photographs you have printed at the local drugstore might not hold up as well as the ones created through a professional lab. That's why our Dubuque photography studio works with a professional lab to create high-quality photographic products to make sure that your images hold up to the test of time. Prints also develop and ethereal quality as time goes on. There's nothing quite as nostalgic as going through a box of old photographs. Photographs that you can hold in your hands and experience in a tangible manner have a timelessness about them. Digital images, theoretically, will last forever. When backed up onto separate hard-drives or online storage, your images could last until the end of time! You just have to make sure that you do, indeed, back up your images. Computers crash, flash-drives get misplaced and it can be all too easy to lose all of your precious memories in a matter or seconds if they are not saved somewhere else as well. There's also the risk of the "out of sight, out of mind" effect. When images only exist via your phone or your computer, it can be easy to forget that they exist at all... especially in the long term. Again, especially when it comes to Family Portraits, you'll want to be able to pass your family photos down to your children. So make sure that your images are saved in a manner that your family will be able to access and not be forgotten. Some pictures you want to to just keep for yourself and those closest to you and that's okay. However, most of the time you should feel proud of your portraits and want to show them off! How you share your images is another important aspect to consider. Printed photographs and digital pictures are shared in vastly different ways and each has their perks and drawbacks. 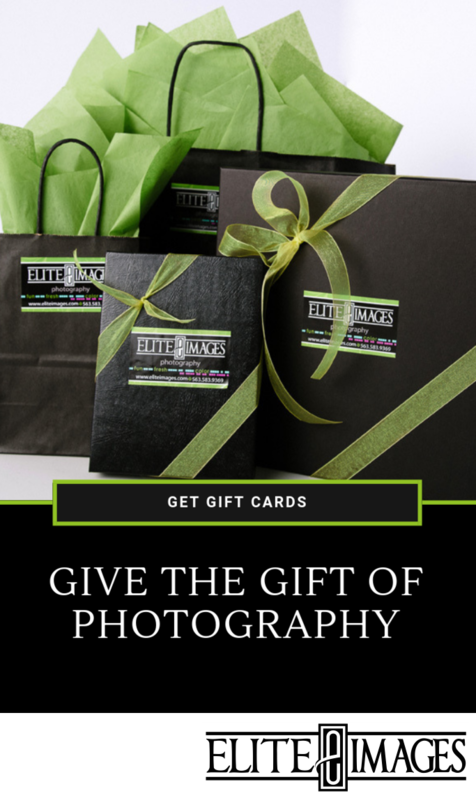 Printed photographs make great gifts for friends and family. 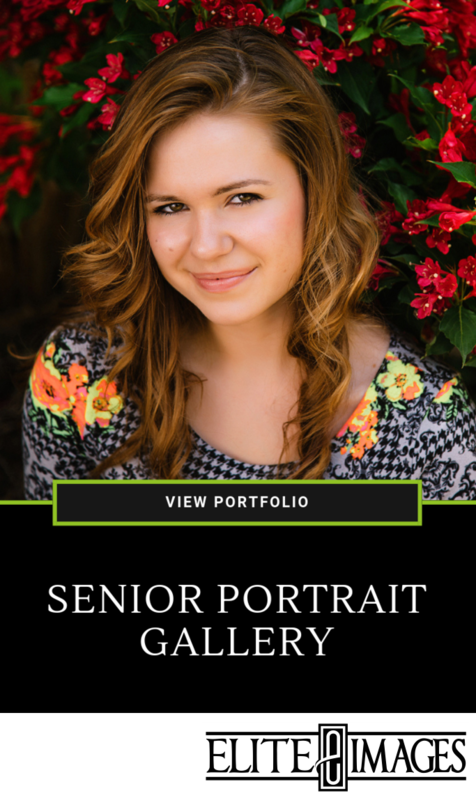 When it comes to Senior Portraits, there's something fun about trading wallet-size pictures with your friends, and they make great gifts to include in thank you cards. 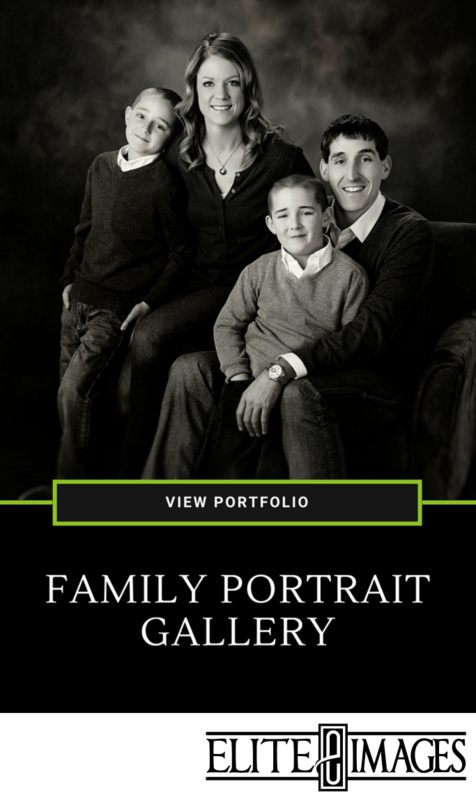 Family portraits also make fantastic gifts whether it's a Christmas present for the grandparents or something unique for Mother's Day. And then, of course, sharing printed pictures in person can be a fun and nostalgic experience. There's nothing quite like going through and old album with your family or showing off your beautiful pictures displayed on your wall when friends visit your home. Of course this means that the only people who will see your portraits are those you specifically show or gift a picture to. So it's likely that only close friends and family will see your beautiful photographs, but that makes the experience meaningful. Digital images, on the other hand, are the best for sharing your images to a large number of people quickly--via social media of course. This means that your relatives across the country can still see and enjoy your family portraits much faster than trying to ship a printed portrait. You can show off your portraits to nearly everyone with just the press of a button! Granted, you lose a little bit of the personal touch that comes with physical pictures. People are less likely to savor a digital photograph like they do a print. Once they see, click the "like" button, and leave a comment, they're scrolling on to the next thing. But at least they got to see it! And when images are shared online, theoretically, it's there forever. So your images can be accessed friends and family again in the future. 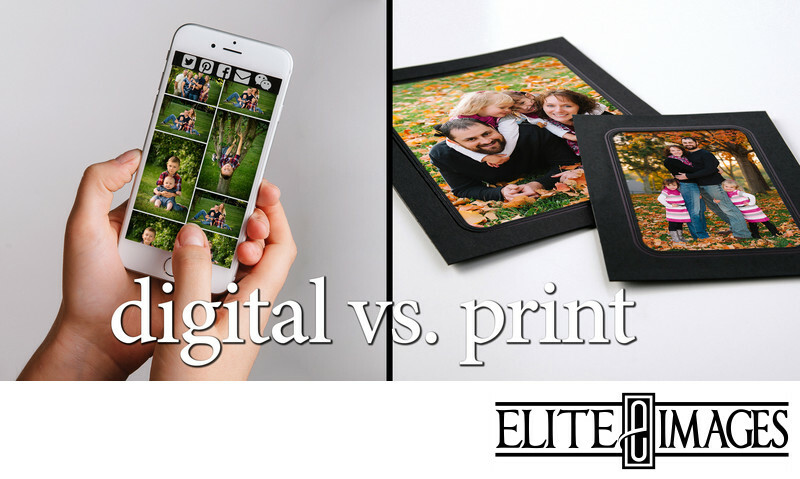 So in the Great Print vs. Digital Image Debate, who wins? As professional photographers, we favor printed photographs. Tangible images are timeless, intimate, and live your everyday world alongside with you. However, when it comes to vast sharing, digital images definitely wins with the aid of social media. And, with proper backing up and saving, digital images will, theoretically, last forever. In the end, both print and digital images have their perks and downfalls. Digital images are certainly becoming more relevant in today's society, but printed images are far from dying out!